(1:18 p.m. EST) -- A flightseeing tour over Mount Everest, a stroll through the English Cotswolds and a game drive through South Africa's safari are just a few of the many experiences on offer, through Oceania's new land tour options. The luxury cruise line has added 86 extensive land tour options that can be added before, after or in the middle of cruises to Australia, Asia, Africa, Egypt and the Holy Land, Europe, South America, Alaska, and Canada. Land tours range from one to five nights, and all are led by English-speaking guides. Oceania's new tours are the next phase of its fleet enhancement program, OceaniaNEXT. As part of the program, Oceania also is refurbishing its four oldest and smallest ships, beginning with Insignia, which is slated to emerge from dry dock December 7, 2018. The line also recently revealed new policies and programs to benefit passengers. Himalayan Kingdom of Nepal and Mount Everest: Four-night tour with stops in Mumbai, Kathmandu and smaller cities throughout the region; experiences include flightseeing over Mount Everest and attending an evening prayer ritual at a Tibetan monastery. Taj Mahal: Eternal Masterpiece: Available as a two- or three-night package, with visits to the Taj Mahal at both dawn and dusk; other highlights include a classic Kathak dance performance at the hotel in Agra. Luxury Safari: White Elephant Safari Lodge: Quick, overnight stay at the luxurious White Elephant, with two game drives, guided nature walks, afternoon tea and sundowners, and either birdwatching at dusk or a cruise on Lake Jozini. Luxury Safari: Belmond Eagle Island Lodge: Four-night tour, with two nights in the luxury safari lodge, and one night each in Cape Town and Johannesburg; game drives allow passengers to see elephants, hippos, crocodiles, big cats, and more. Glaciers, Lagoons & Waterfalls: Tour of Iceland's natural sites, including an ice cave, ice walk and waterfalls; passengers also get to bathe in the Blue Lagoon and enjoy a culinary tour of Reykjavik, as well as overnight stays in Icelandic villages. 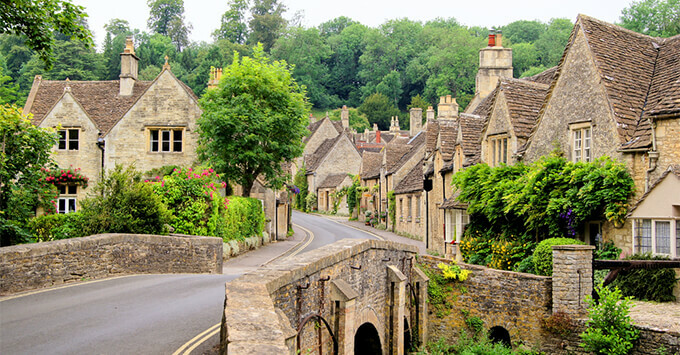 Royal London & The English Countryside: Three-night tour, with a combination-stay in London and the English countryside, including the Coltswolds, Bibury and Burford; the tour concludes with a visit to the historic Roman Baths in Bath, England. Rome & Tivoli Treasures: An insider tour of the Vatican Museum and Saint Peter's Basilica with private access, as well as an in-depth look at the historic town of Tivoli and the UNESCO World Heritage Site of Villa D'Este. Canadian Rockies by Rocky Mountaineer: Tour of Vancouver, BC, and Banff National Park; passengers enjoy exclusive opportunities to experience Banff, Sulphur Mountain and Vancouver, as well as sightseeing via the Rocky Mountaineer rail. Additional land tours include iconic sites such as the temples of Angkor Wat (Cambodia) and Chiang Mai (Thailand), the Swiss and Italian Alps, and the Arabian Desert. All tours are now available for booking on Oceania's site.